West Bengal Health Department GNM Jobs Recruitment 2014 Online Appliction Form Download details are given below. 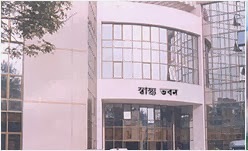 West Bengal Health Department GNM Jobs Recruitment 2014 : West Bengal State & Family Welfare Samithi, Kolkata is Published a Notification for the Recruitment of 320 GNM Posts. West Bengal Health Department GNM Jobs Recruitment Online Application Last date 07-02-2013. West Bengal Health Department GNM Jobs Recruitment Complete Details at Section like, Age, Education, No.of Posts, How to apply Etc Details are given below. Education : The Applicnats Must Complete GNM Training Course from an Institute Recognized by Indian Nursing Council. and Candidates Should be Permanent Address of West Bengal. AGE : The Applicants and Eligible Candidates age Limit Must be between 21 years to 40 years . ANd Age Relaxation applicable as per the Govt. Rules. Pay Scale : The Eligible candidates Can get Rs. 17220/-, Grade per month. WEst Bengal Health Department GNM Jobs Recruitment 2014 Online Notification . How to apply : The Aplicants can apply through Online by www.wbhealth.gov.in . Last date : 29-01-2014 To 07-02-2014.